What if the limits of time and space were breached? Lena Fennan is a low-level financial analyst with a high-powered conviction. Just as she’s on the verge of a life-transforming windfall, a mysterious invitation draws her into a series of events that threatens to crush her. But captivated by a glimpse into a breathtaking future, Lena refuses to give in. Reese Clawson emerges from prison gripped by the slow burn of revenge. She aims to track down everyone who had a hand in destroying her—and take them out. First on the list is Charlie Hazard, who will be snared by their shared secret. 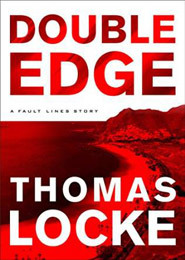 As events and places become tangled, Lena and Reese are pulled into a collision course that could redefine everything—even the limits of human possibilities. Junior financial analyst Lena Fairchild loves managing risk and making money. Yet when she gets a mysterious invitation to take a leap into the unknown, she does not hesitate. Soon a series of events takes her to the brink of destruction. But Lena refuses to give in, entranced by glimpses of a future that redefine everything. Reese Clawson emerges from prison gripped by the slow burn of revenge. She will track everyone who hand a hand in destroying her–and take them out. First on the list is Charlie Hazard. As time and space become jumbled, Lena and Reese are pulled into a collision course that could alter the parameters of human consciousness. 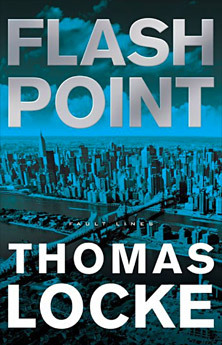 Flash Point, book 2 in the Fault Lines techno-thriller series, releases August 2, 2016, from Revell. 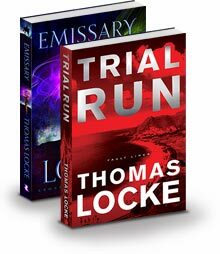 Available in hardcover, paperback, and eBook formats, this pulse-pounding story combines the science of today with possible scientific breakthroughs of the future.